As the Knights Templar series progresses, the books seem to be getting longer. The outstanding Death Ship Of Dartmouth by Michael Jecks clocks in at 512 pages although it does seem to just fly by. A must read entry in a must read series. Let’s go for the wonderfully titled Vegetable Duck by John Rhode – and if the Rhode estate is reading this, please let somebody (e.g. Curtis Evans) re-release the Rhode and Burton books as ebooks. They really are a cut above a number of the other lost authors currently being lauded. Tastes Like Fear by Sarah Hilary, the third in the engrossing Marnie Rome series. Looking forward to Book Four early next year. John Dickson Carr (as Carter Dickson) managed to produce The Unicorn Murders just before hitting the big 3-0. Well, there’s plenty of ghosties, ghoulies and long-legged beasties roaming London in Who Killed Sherlock Holmes? by Paul Cornell, probably the best so far in the Shadow Police series. Case For Three Detectives by Leo Bruce, a pastiche of Poirot, Wimsey and Brown that, while it gets a little bitchy at times, certainly puts a smile on the reader’s face. I have to flag up A High Mortality Of Doves, the outstanding post-WWI mystery from Kate Ellis, that kicks the competition into the dust. A competitor for Book of the Year. Rather more challenging to find a book without a mystery – there is one, Fields Of Glory by Michael Jecks. 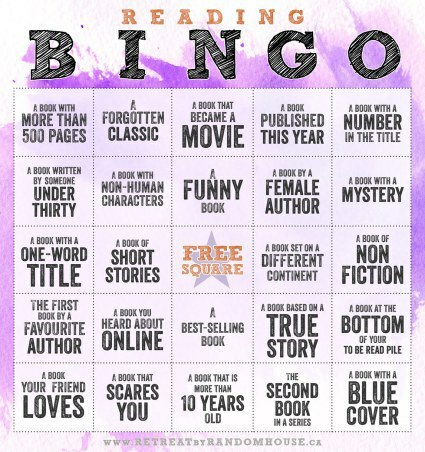 But I’ll pick one at random (literally – I used a random number generator) and got Death Of A Busybody by George Bellairs, one of the British Library re-issues. Only one book this year falls into this category, a much-overlooked thriller. Painkiller by N J Fountain is a twist-filled thriller, so much more involving and complex than any book about a “Girl”. The paperback is out on 29 December this year – don’t miss it! Serpents In Eden edited by Martin Edwards from the British Library, a set of tales set in the English Countryside. Let’s put Dead Pretty by David Mark in this slot. Book five in a series that goes from strength to strength (and started pretty strongly anyway). Nothing outside of Europe or North America, so I’ll go for Death At The Boston Tea Party by Deryn Lake, as it’s a trip to the North American colonies for a series usually based in Georgian England. Certain parts of A Death Of A Red King by Paul Doherty were certainly presented as an academic case, despite being dressed in a fictional tale. The not-so-great It Walks By Night by the great John Dickson Carr. Um, what counts as best-selling? No idea. But pretty sure The Steel Kiss by Jeffrey Deaver would count. The well-researched and never dull Dancing For The Hangman by Martin Edwards, the tale of Dr Crippen. Well, let’s go for Death Invites You by Paul Halter, as JJ from The Invisible Event loves that one (as did I). Again – duh. Let’s take the physics-defying Death On The Riviera by John Bude, from 1952. So, that’s bingo out the way – two years, two full houses. Let’s go for the hat-trick. For a title with a number I would choose The Four Just Men by Edgar Wallace. It seems fun so i’ll try to do this bingo in the first half of 2017. My first choice is “The Vanished Man” by Jeffery Deaver (600 pages). Good luck doing it in six months – although admittedly, I never read “to the card”, just try and link stuff after the fact. –	Two choices : the japanese locked room « Irezumi » (Tatoo murder case) by Takagi Akimitsu or the Hugo / Nebula winner « Morwenna » (Among Other) by Jo Walton. –	I like short stories, perhaps « The Steampunk trilogy » by Paul di Filippo. –	The first book by a favorite author… ? –	A book I heard about online ? So many. –	Second book in a serie ? « Spin » by Robert Charles Wilson was a so good hard SF novel that I think it will be a good idea to read the sequel, « Axis ».